Learn about the history of biotechnology, life science, and the pharmaceuticals in Nebraska. The following includes select facts from life science history, both global and Nebraska state specific, that help explain the origins of the state's life science industry. Please note that these facts are part of a much larger state-specific history database that will be launched in the near future. In the meantime, we encourage you to learn about the scientists behind the discoveries, the entrepreneurs, philanthropists, political leaders, and significant events, institutions and companies that are the foundation of the life science industry in the state of Nebraska. 1869 -- University of Nebraska-Lincoln was founded. University of Nebraska-Lincoln (UNL), founded in 1869, and one of the nation's premier land-grant institutions, has a long tradition of academic excellence and was the first institution in the American West to grant the Ph.D. degree. The discipline of ecology originated at UNL, and the campuses today reflect that tradition, being recognized as botanical gardens and arboreta. UNL has been home to many legendary figures, including geneticist George Beadle, and investor Warren Buffett. Today, UNL's Center for Biotechnology promotes research on all aspects of molecular life sciences research, leading to improvements in agriculture, health care and the environment. The center is supported by the Nebraska Research Initiative funds allocated through the Center for Biotechnology and by funds from the National Science Foundation (EPSCoR Infrastructure grant). The Center provides access to core research facilities and various other services to the UNL research community and local businesses. 1880 -- Nebraska’s first medical college was founded. Nebraska’s first medical college was founded in 1880, and reorganized and renamed the Omaha Medical College one year later. In 1902, the school became affiliated with the University of Nebraska. In 1909, the Legislature purchased the present University of Nebraska Medical Center (UNMC) campus site for $20,000, and four years later, the first building on campus, which was designed to house the entire medical college, opened for business. By the end of World War II, the UNMC had established programs in all health-care disciplines. Today the The University of Nebraska Medical Center is the only public academic health science center in Nebraska. In collaboration with The Nebraska Medical Center, which is comprised of University Hospital and Clarkson Hospital, UNMC is poised to become a world-class center. The Nebraska Public Health Service believed that influenza was "prevalent throughout the State on October 1, 1918." On October 7th, there were 2,500 cases in Omaha alone and 400 in Lincoln. The pandemic peaked during the final week of October. 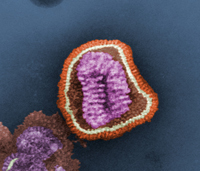 That week, officials reported 20,835 cases of influenza and 1,495 deaths; the real numbers were probably much higher. 1930 -- Warren Edward Buffett born. Warren Edward Buffett, born in Omaha, August 30, 1930, is an investor, businessman and philanthropist that is known as the "Oracle of Omaha" and the "Sage of Omaha." Buffet, a graduate from the University of Nebraska (1949), amassed his fortune from astute investments largely through Berkshire Hathaway, in which he is the largest shareholder and CEO. Buffet's current wealth is an estimated $42 billion, and he is ranked by "Forbes" as the second-richest person in the world, behind Microsoft chairman Bill Gates. In June 2006, Buffet committed to give away his fortune to charity, with 85% of it going to the Bill and Melinda Gates Foundation. Buffett's donation was the largest act of charitable giving in U.S. history. 1937 -- Hoegemeyer Hybrids was founded. Hoegemeyer Hybrids was founded in 1937 by H. Chris Hoegemeyer and his son, Leonard when the science of producing hybrid seed was in its early development. Leonard, a student at the University of Nebraska, learned of the potential and techniques of corn hybridization, and brought home two inbred lines for his father to plant. From that beginning, Leonard earned a Master's degree and worked toward his Ph.D. in plant breeding. He dedicated his life to the family business and continually searched for tough, stress-tolerant hybrids and to provide quality seed to farmers. That legacy continued and was enhanced when Leonard's son, Tom Hoegemeyer, following the family traditiion studied plant breeding, earned his Ph.D. from Iowa State University, and joined the company in 1974. Now the company's Chief Technology Officer, Tom's reputation as one of the most innovative and well-respected plant breeders in the seed industry today makes Hoegemeyer Hybrids a major player in the Western Cornbelt. 1958 -- George Wells Beadle awarded Nobel Prize in Physiology or Medicine. Beadle, a Nebraska native, might have become a farmer if one of his teachers at high school had not directed him towards science and persuaded him to go to the College of Agriculture at Lincoln, Nebraska. In 1931 he was awarded a National Research Council Fellowship at the California Institute of Technology, and in 1946 he became Professor of Biology and Chairman of the Division of Biology, where he remained until 1961 when he was elected Chancellor of the University of Chicago and, in the autumn of the same year, President of this University. 1960 -- Eppley Cancer Center founded. The Eppley Cancer Center, now a National Cancer Institute Laboratory Cancer Research Center, began in the University of Nebraska Medical Center College of Medicine (UNMC) in 1960 with funds from the Eugene C. Eppley Foundation, National Institutes of Health, and the University of Nebraska. Eugene C. Eppley was owner of the Eppley Hotels once the largest privately owned hotel chain in the U.S. In 1903, Eppley established the McKinley Hotel in Canton, OH that grew to become a chain of 22 hotels that was sold to Sheraton Hotels in 1958 for $30 million. Eppley died a bachelor in 1958 and proceeds from the Eppley Foundation, founded in 1948, have been used for numerous philanthropies throughout the Midwest. The purpose of the Eppley Cancer Center, dedicated in 1963, was to provide a research center that could perform and encourage fundamental studies leading to: a better understanding of the causes of cancer, the improvement of methods for diagnosis of cancer, and the improvement of methods for the treatment and prevention of cancer and similar disorders. In 2013, the University of Nebraska Board of Regents approved naming the UNMC’s new cancer center the Fred & Pamela Buffett Cancer Center. The generous gift from Pamela Buffett honored her late husband, Fred “Fritz” Buffett, who died in 1997 after fighting kidney cancer. The $370 million project – the largest ever at the University of Nebraska – included three areas dedicated to cancer: a 98-laboratory research tower, a multidisciplinary outpatient center and a hospital with 108 beds. 2005 -- The Bio Nebraska life sciences association was founded. In 2005, Bio Nebraska, was was founded. The mission of Bio Nebraska is to be the champion of biotechnology and an advocate for its member organizations promoting academic, industry, and government partnerships to foster the growth of life sciences within Nebraska. 2010 -- Celerion was founded. In 2010, Celerion, a leader in early clinical research, delivers Applied Translational Medicine, was founded in Lincoln. Celerion applies their expertise and experience to translating information gained in research discoveries, to knowledge of drug action and effect in humans to support early drug development decisions and the clinical pharmacology labeling of new medicines. 2013 -- UNMC named the new cancer center the Fred & Pamela Buffett Cancer Center. In June, 2013, the University of Nebraska Board of Regents approved naming the University of Nebraska Medical Center’s new cancer center the Fred & Pamela Buffett Cancer Center. The generous gift from Pamela Buffett honored her late husband, Fred "Fritz" Buffett, who died in 1997 after fighting kidney cancer. The $370 million project – the largest ever at the University of Nebraska – included three areas dedicated to cancer: a 98-laboratory research tower, a multidisciplinary outpatient center and a hospital with 108 beds. If you are aware of a notable event or person at your company or organization that should be included in Nebraska Life Science History, please e-mail us at: suggestions@inforesource.org. Nebraska Life Science History(TM) and Nebraska Life Science Evolution(TM) © Info.Resource, Inc.